While Bengaluru sees a number of startups mushrooming each year, a number of them also shut down before actually taking off. 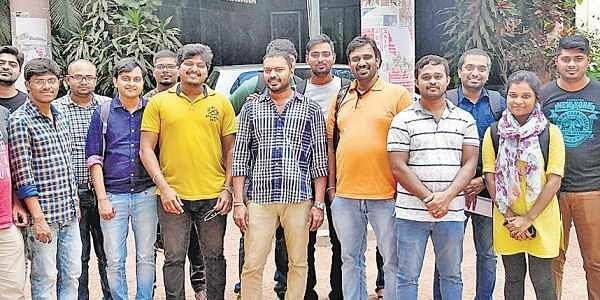 BENGALURU:While Bengaluru sees a number of startups mushrooming each year, a number of them also shut down before actually taking off. Employees who join these startups often face the brunt of the company going south. One such example is a mid-sized IT services company in JP Nagar, Nurture Software Solutions Private Limited, where employees have been forced to approach the Labour Commission to get dues related to gratuity, provident fund and salary resolved. With the support of the Federation of IT Employees (FITE) Karnataka, as many as 72 former and current employees approached the commission on Saturday asking it to intervene on the matter.A former employee, who worked as a senior software engineer in the company for nearly four years, spoke to CE on condition of anonymity. He says, "In the first year, when I joined, it was all fine. But as the months passed, the situation got worst. We used to get our salaries 10 to 15 days late. Then salaries were two to three months late. Although an amount from our salary got credited every month towards PF, we found out that it wasn't being credited into our PF account since 2016." Many other employees also did not get their gratuity amounts despite deductions from their salaries. The employee adds that a new management took over the company recently, and promises were made to clear dues. "When we went to speak to the new management, they said they would solve our problems soon. Later on, they backtracked, which is why we were forced to get the labour commission involved," he adds. While the company started 13 years ago, the affected employees include those with just two years in the company, as well as those who were with it since the beginning, says the former employee, who has since moved on to another company. Deepak Radha, general secretary, FITE, Karnataka, told CE, "The Labour Department has taken the matter seriously and has also promised immediate investigation in to the matter this week. They said they will send an officer directly to the company to meet with its heads. The company has around 250 employees. Of the 72 with grievances, around 20 met officials from the labour department. Many of them are still working with the company, despite these problems." CE got in touch with Subramanyam Sharma, director, Nurture Software Solutions Private Limited, who says that all efforts are being made to pay the employees' their dues. "We are also trying to evaluate and correct the system. We plan to settle all dues by December. The company was promoted by former Infosys employees PK Srivatsava and Monica Dingy Koshy. All the debt and liabilities and statutory and employee accumulated till July 12, 2018. The promoters approached me and requested me to take over the company seeing the plight of employees. It's been just 80 days since the new management took charge. I am presently trying to revive the company and bring back the company life." A senior official from the Labour Department, who is aware of the matter, says, that a notice will soon be sent to the company. "We will hold a joint meeting and ask them to follow the provisions of the law. If they don't do so, we will take action. "With regard to companies and organisations violating gratuity rules, the officer says that he has seen many cases that are not restricted to only software companies. "We have seen cases where even corporation employees — from BMTC and KSRTC for example — have a number of grievances related to gratuity," he says. A senior official from the Labour Department tells CE that while violations related to gratuity are reported from companies across various private sectors, startups are the biggest violators. "Many startups fold without paying dues and grievances, and these employees reach out to us," the officers says, adding that it is difficult to intervene in matters related to software and IT companies as they are exempted from certain government rules. If company does not make money then they will not be able to pay their employees. In such cases most of the skilled employees might have joined other companies. Only the unskilled ones who were not able to find another job fight and crib instead of moving on.